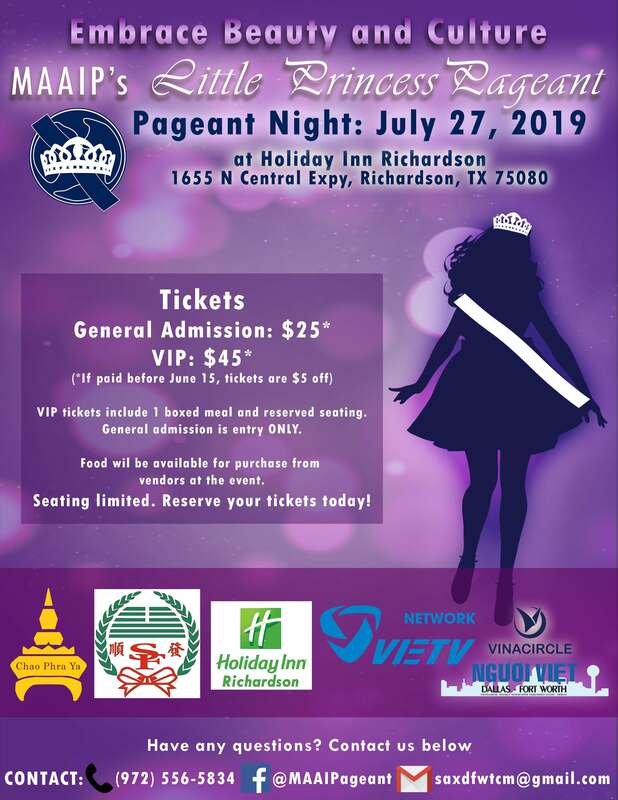 MAAIP's Little Princess Pageant - Embrace Beauty and Culture Tickets: General Admission - $25 / VIP: $45 (If paid before June 15, tickets are $5 off) VIP tickets include 1 boxed meal and reserved seating. General admission is entry only. Food will be available for purchase from vendors at the event. Seating limited. Reserve your tickets today!